A clinically proven standardized extract phytomedicine used to stop common colds from progressing and prevent complications. Trusted by millions of people in over 18 countries throughout the world. 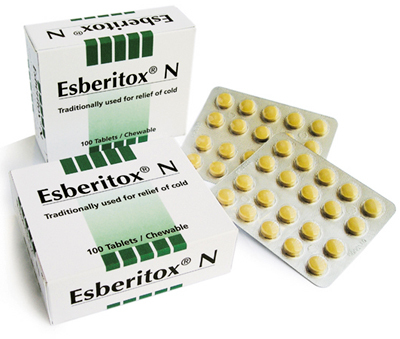 Esberitox®N –contains a combination of plant extract in a standardized extract form. Esberitox®N is clinically proven to improve your immune system and protect the body against the attacks of pathogenic agents. You can increase your immune system when the prospect of an infection is high and you want to reduce the probability of actually contracting an illness. 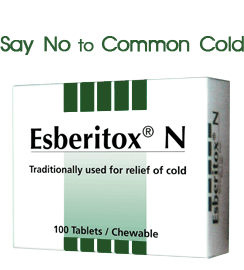 The efficacy of Esberitox®N has been proven in various clinical trials. They document the faster recovery from respiratory tract infections (viral or bacterial in origin) and prove that it works!